Ever wondered how Link’s wall merging ability would look in real life? 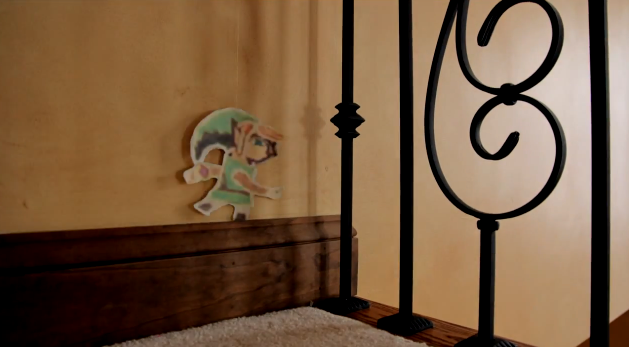 Thanks to YouTuber Talha Aamir, A Link Between Worlds has been made into a stop motion live action short featuring both 2D and 3D versions of Link. Rather than facing the familiar tektite, boss, or even Ganon, Link faces the evil of an adorable stuffed feline. Hit the jump to see Link literally merge into a stop motion montage! YouTuber Talha Aamir also has quite a handful of stop motion shorts featuring brief adventures familiar Nintendo characters in plush form, be sure to check them out here. I really appreciate the bits of humor and originality in this short. It’s not too often we get to see Link with cat, let alone chased by one. What did you think of this stop motion short? Let us know in the comments below!